This star is 430 light-years away from the planet Earth. Despite its distance from the earth, it is visible from the planet because of its luminosity. It is a huge white supergiant and is the 45th brightest star in the sky. 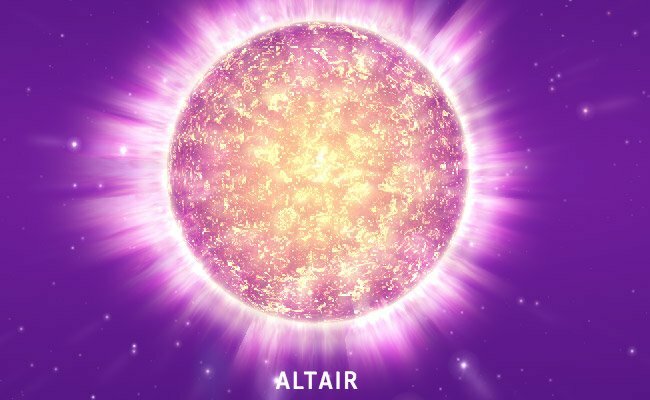 This is basically not a single star but a ternary star system consisting of 1 main star known as alpha UMi Aa and two comparatively smaller ones known as alpha UMi B, alpha UMi Ab. There are two distant stars named alpha UMi C, alpha UMi D if combined with the ternary system form a multi-star system. This alpha star is located in the constellation Ursa Minor (the Little Bear) so scientifically known as Alpha Ursae Minoris. Second in the list of famous stars in the solar system is Sirius. This is also known as Dog Star and is the brightest stars in the night sky. The name Sirius is derived from a Greek word ” Seirios” which means “Scorcher” or “Glowing”. 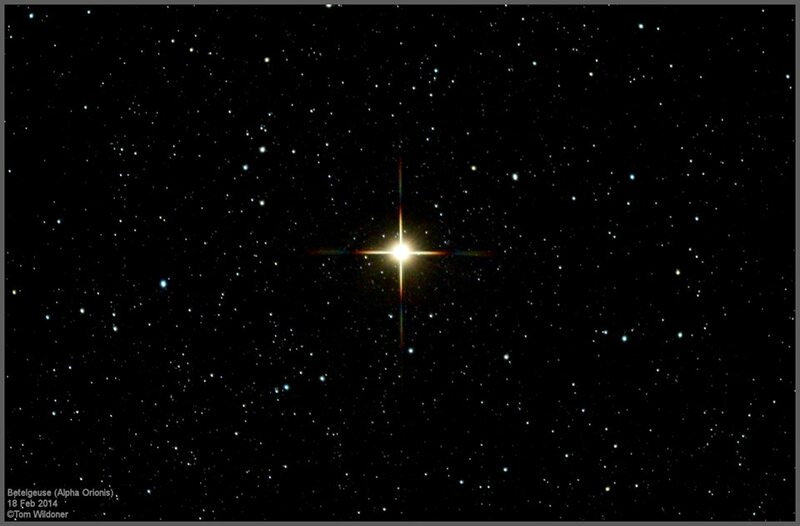 This is not a single star as it may seem but a binary star system with two stars named Sirius A and Sirius B. Sirius A is the white main-sequence star whereas Sirius B is a small white star. Sirius is one of the closest stars to the earth at a distance of 6.8 light years. The combination of its distance, as well as luminosity, makes it the brightest star in the sky. The bright red supergiant is also known as Alpha Orionis to be easily found in Orion constellation and is one of the most luminous and largest stars in the solar system. The name Betelgeuse pronounced as “Beetle-juice” has been derived from Arabic word Ibt al-Jauza, which mean “the hands of Orion”. 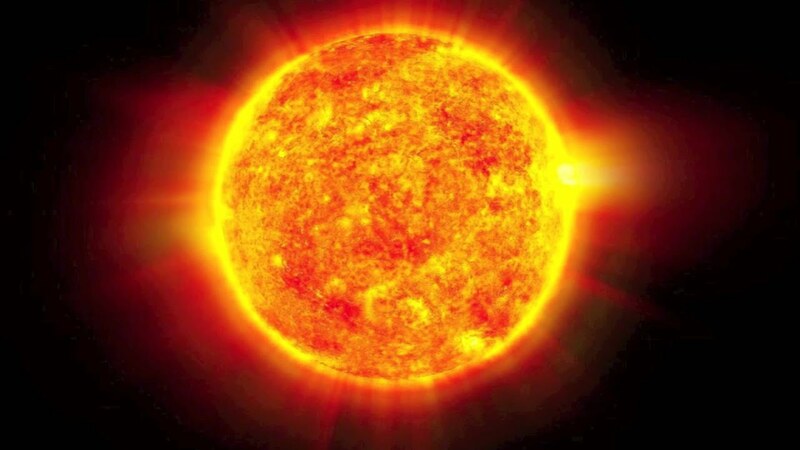 This star is roughly 650 light-year from the earth. The things that excite astronomers about this red star is the one day it will become a supernova and that will be the marvelous event to witness for people of earth but the exact date is still not known. 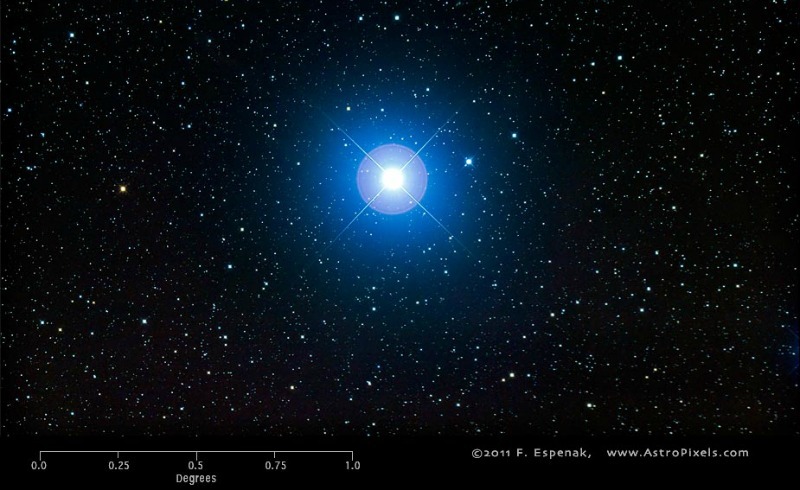 Another famous star in the space, Rigel is a blue multi-star system and is also known as Beta Orionis. It is the seventh brightest star in the night sky and one of the brightest star in the Orion constellation. Among the names of stars in our galaxy, one that holds a special name is Vega as it is the first star other than the sun to have his spectrum recorded and also the first one to be photographed after sun. 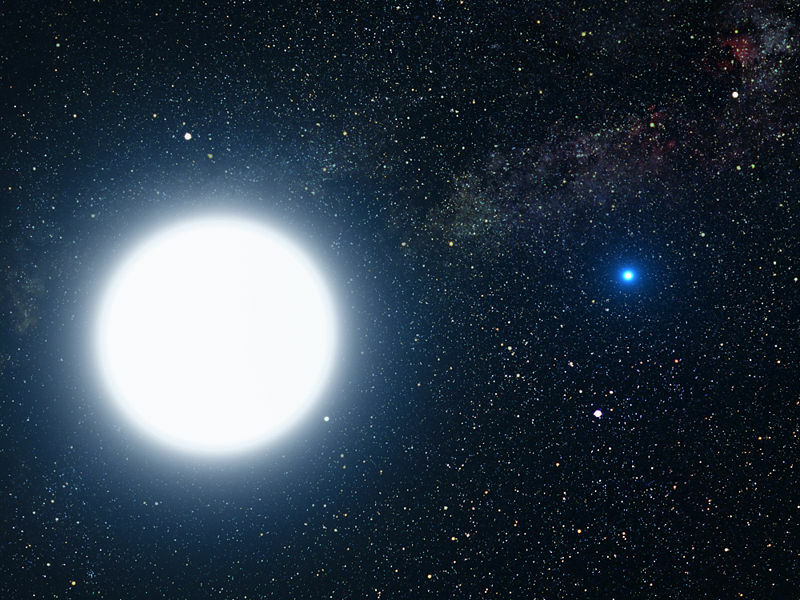 Vega is characterized as a white dwarf star but is 2.1 times more massive than our Sun. When it is together with Arcturus and Sirius, it is considered as one of the brightest stars other than Sun. This star is also named as Alpha Aquilae and is the twelfth brightest star in the night sky. Its distance from the earth is around 16.7 light-years and that is why considered as one of the closest stars that are visible to naked eye. It is the brightest star in its Aquilla constellation. It forms one of the vertices of Summer Triangle along with Deneb and Vega. The velocity at which it rotates makes it little flattened at the poles. Altair rotates at around 286km/s and that is why it is not considered at spherical. Name of this star is derived from the Arabic phrase al-nesr al-ṭā’ir which means “the flying eagle”. Among the names of galaxies and stars, the one which is the second brightest star in the night sky is Canopus, also known as Alpha Carinae, This star is named after the mythological character who was the navigator of King Menelaus of Sparta in The Iliad. As it is the brightest star compared to others, Canopus is also used by spacecraft to align themselves in the space. The fourth brightest star in the night sky and brightest star of Bootes Constellation, Arcturus is also known as Alpha Boötis written as α Boötis and abbreviated as Alpha Boo, α Boo. This red giant is 36.7 light-years from the Sun but is 170 times more luminous than Sun. It derives its name from Greek word Ἀρκτοῦρος (Arktouros) which means “Guardian of the Bear”. Previous article How To Clean A Washing Machine? Next article Who Is Responsible for the Frozen Pipes in a Rental Apartment?